Once upon a time, The President endorsed the development of the ultra crazy-powerful W-Bomb at a Super Top Secret Location. After many failed experiments and the loss of several limbs, scientists deemed the project “too powerful” and shut all W-Bomb experiments in a Super Top Secret Bunker, never to see the light of day again. Seventy years later, the Super Top Secret Bunker was shaken by a massive earthquake! Fermented beakers, flasks with questionable content, a leftover pair of skates –– everything clattered to the concrete floor, and then –– BOOM! Thus the RESEDA WRECKERS erupted into existence! Check our upcoming bout schedule to see when the BOOMtastic Reseda Wreckers play next! 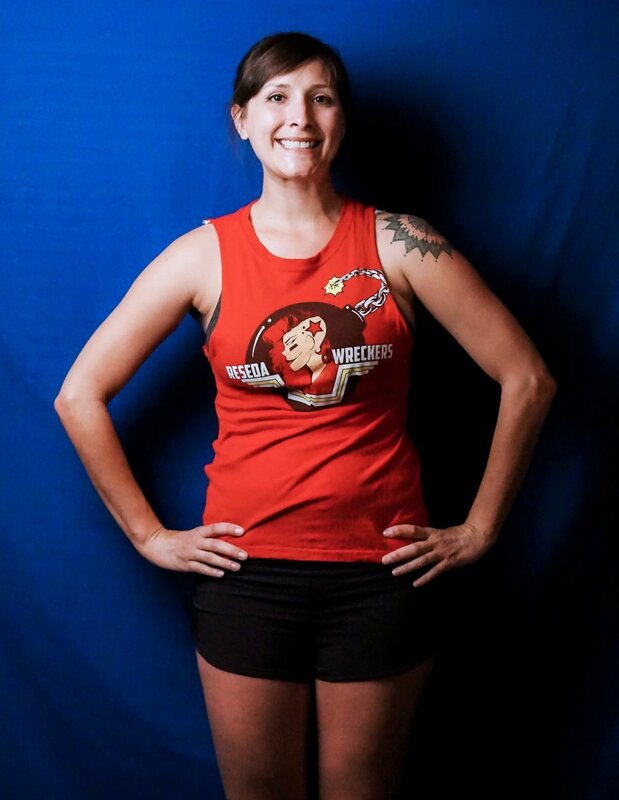 San Fernando Valley Roller Derby is a member league of the Women's Flat Track Derby Association (WFTDA).